Dryer sheets have many uses for different jobs around the house. We often use dryer sheets to keep the fabric soft, clean and to remove static cling, add fragrance scent to laundry. While some commercial dryer sheets are often quite expensive and contain many synthetic chemicals such as benzyl acetate and phosphoric acid. 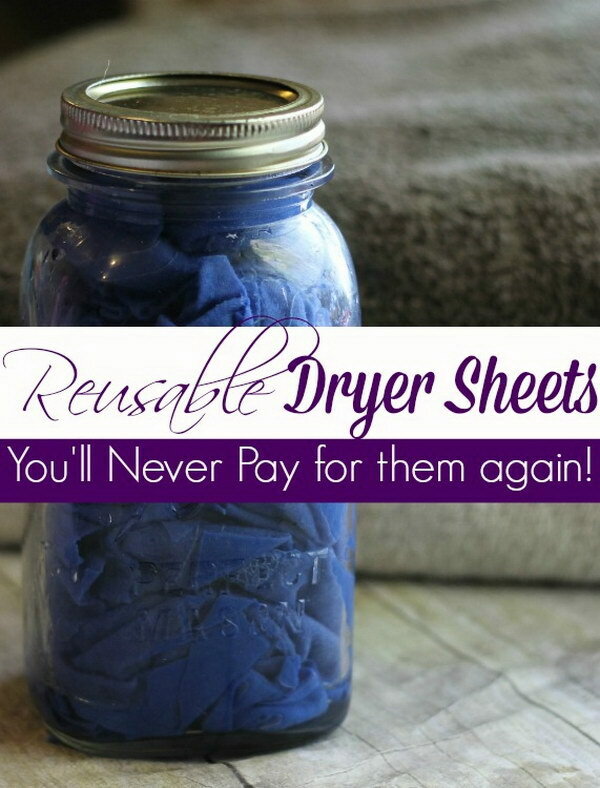 If you don’t have a budget on this laundry product, you can try to make some by yourself. Homemade dryer sheets can be made quickly and easily with some household supplies, like essencial oil. Making your own dryer sheets is also a safe and nontoxic alternative to using store bought ones. 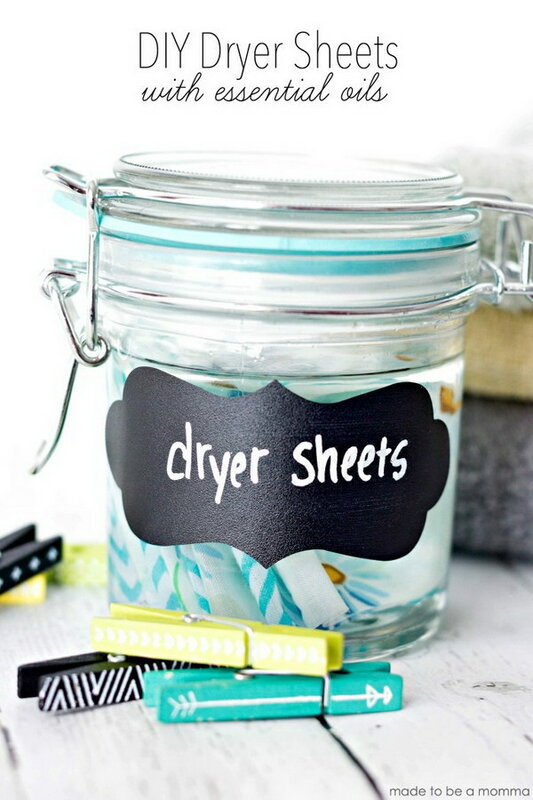 Here we have some free recipes for homemade dryer sheets with step-by-step tutorials to share with you.Read on and give your favorite one a try for your next laundry. These DIY Reusable Dryer Sheets are all natural and they’re super cheap to make with old t-shirts. DIY instructions via sixdollarfamily. 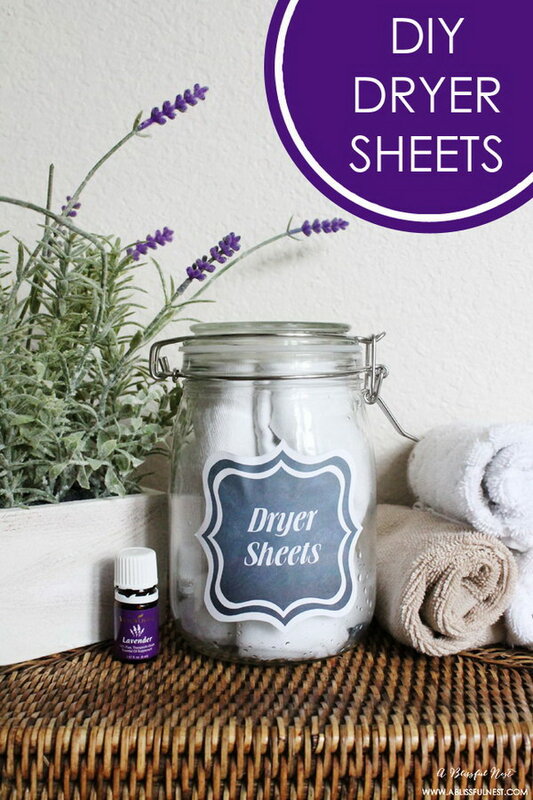 Use lavender essential oil or lemon or any another essential oil that you love for these dryer sheets! Ge the tutorial via madetobeamomma. These reusable dryer sheets are easy and quick to make in minutes ans can make your laundry smell good. Learn about the tutorial via mom4real. 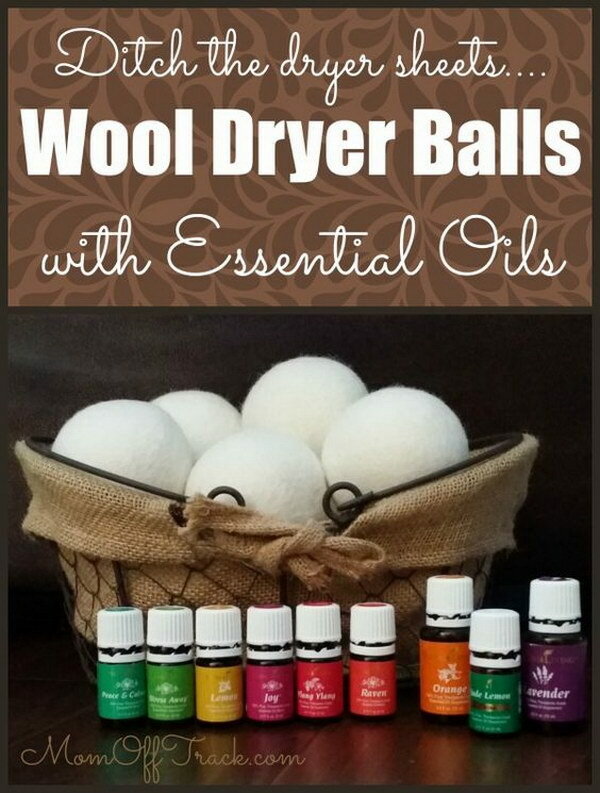 These wool dryer balls with essential oils are a great and 100% natural alternative to chemical filled dryer sheets. DIY instructions via momofftrack. What you need are some sponges, a sealable container, and a giant bottle of fabric softener for this homemade laundry product. Get the tutorial via themamasgirls. 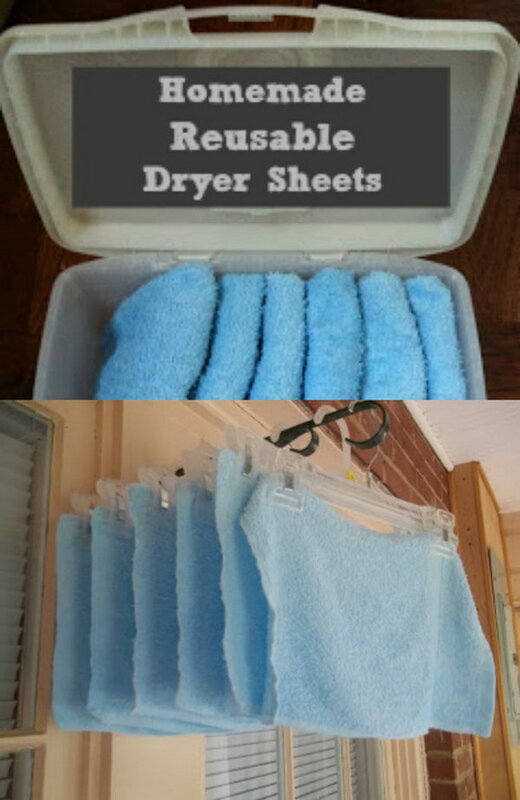 Love this all natural idea for laundry! It smells great and comes with free printable labels too, makes for a good gift for any housewife around you! See the DIY instructions via ablissfulnest. 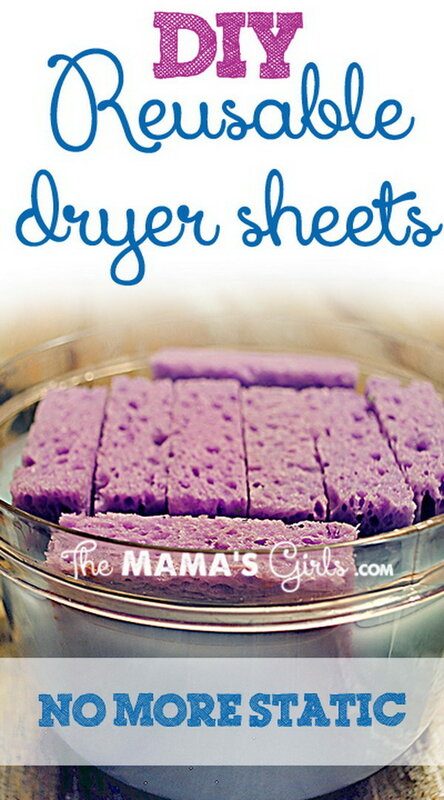 You will be happy to know how easy it is to make these all natural dryer sheets. It only require a couple ingredients and are SO MUCH healthier for your family! See the instructions via viewfromthefridge. Recipes and DIY tutorial via clarkscondensed. 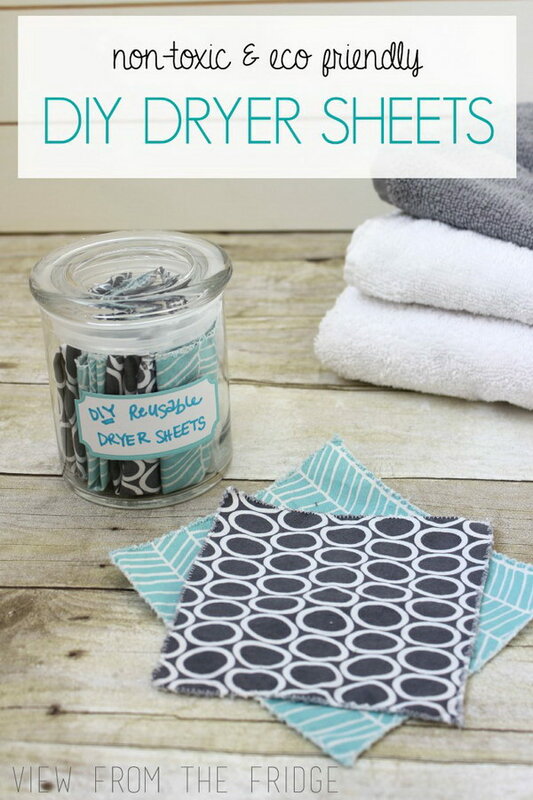 Super simple and economical to make these dryer sheets with synthetic fragrances! Learn about the tutorial via southernscentsabilities. 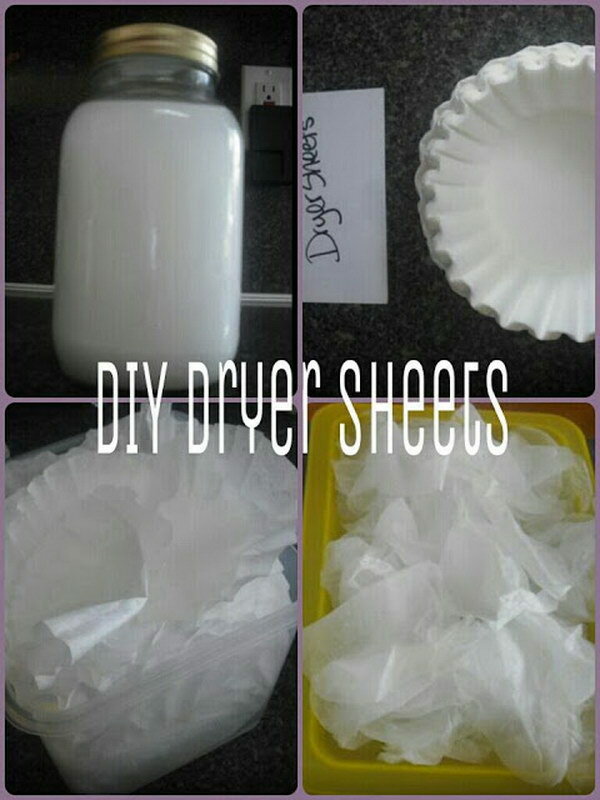 Recycle your coffee filters to make these homemade dryer sheets for your laundry! Easy, quick and cheap! Get the tutorial via livingaspecialkindoflife.